Sagetdao “Deadly Star” Petpayathai, 31, of Singapore celebrated when his hand was raised by referee Olivier Coste at “ONE: Spirit of a Warrior” on June 29, 2018. However, the celebration did not last long as the result was overturned by ONE Championship just hours after the fight. “ONE: Spirit of a Warrior” took place at the Thuwunna Indoor Stadium in Yangon, Myanmar. In the seventh bout of the evening, Sagetdao originally maintained his undefeated record by defeating “Cannon” Ma Jia Wen, 21, via unanimous decision. This marks Sagetdao’s first loss as a professional mixed martial artist. After losing to Ma, the Thai-Singaporean fighter now has 3 wins and 1 loss. In 2017, Sagetdao consistently finished his first three bouts in ONE Championship all in the first round. 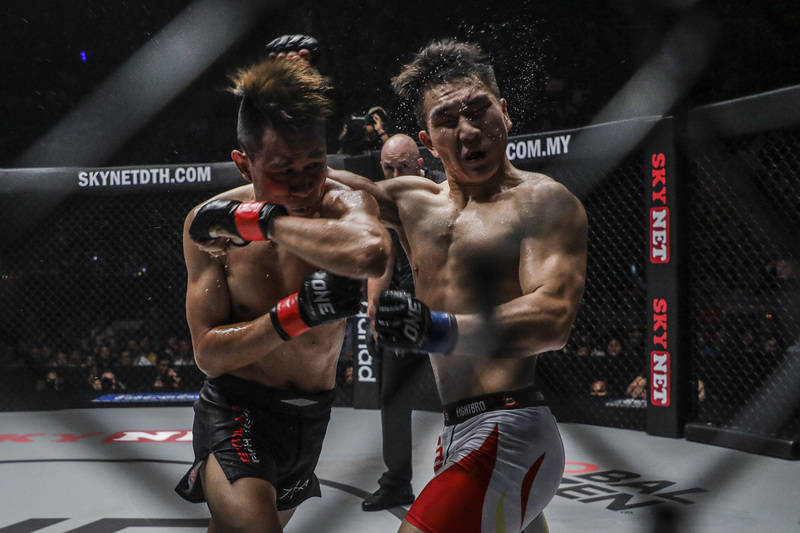 In his promotional debut at “ONE: Warrior Kingdom,” he knocked out Kelvin “Ice Man” Ong, 30, of Malaysia via knees and punches at 2:20 of Round 1. When Sagetdao returned to the cage at “ONE Championship: Shanghai,” he knocked out Mahmoud Mohamed, 39, of Egypt via punches at 1:41 of Round 1. At “ONE: Warriors of the World,” the Thai-Singaporean fighter earned his third ONE Championship win by knocking out Jimmy “The Silencer” Yabo, 37, of the Philippines via knee to the body at 2:44 of Round 1.